This song is one harsh critical piece underneath the thudding beat, guitars that switch from classical sounds to whale sounds, harmonica solo, and Brown’s ghostly subway singing. It accuses its target of being a habitual liar and a drug user, then Ian tells them to slip their neck into a rope (the last bit an unpleasant reminder of another Ian, 1980). It’s been claimed that a number of this album’s songs are aimed at The Stone Roses guitarist John Squire, who Ian had accused of being a selfish, unreliable, cocaine abuser. We’ll get to Squire in a later chapter. Whether the sometimes-obscure lyrics really relate to Squire or not, it’s clear Brown wasn’t lacking in talent, and whatever motivated him led to this album’s revelation of his true talent. Oh, as well as writing the songs Ian played most of the instruments himself, feeling it would give a more honest sound. And Ian produced it. And financed it. The official video starts with monkeys, then Ian jiggling round with his trademark heavy-browed ape-like stare. That iconic Ian Brown appearance also graces the cover of this, his debut solo album. The album’s name is a further nod to the simian analogy: Ian said he’d been called a monkey so much over the years that he adopted it as part of his persona. So what if his arms are long compared to his body? It just means he can reach that bit farther. And as he swivels in a rotating chair, headphones on, he is even more laid back than the Gallaghers: he exudes confidence, and it’s easy to see why he is so often emulated. (Lastly about the video: it includes women eating shellfish, putting “corpses in their mouths”, but it’s more likely to be an overly-literal joke than a veggie agenda). It needed saying. He had it all with The Roses, then lost it all. Then he started again in a council flat with nothing, launched his solo career, and got it all again. There’s always hope of improvement and escape. “The reason I was in a group was to get out of Manchester, because it rains every day, it’s industrial, there’s nothing to do,” he once said. Background drives character. Pre-Stone Roses Ian was into northern soul, going to all-night dance and music events. He doesn’t like fighting, despite taking beatings from others on many infamous occasions. And in December 1999 he was sent to Strangeways for two months, and while there he wrote three of the songs for his album. Even when you’re inside you have a choice as to how you spend your time and what you achieve. Nothing can take your mind’s freedom away. The album was gold: no surprise that there would be a follow up, and it would be called Golden Greats. 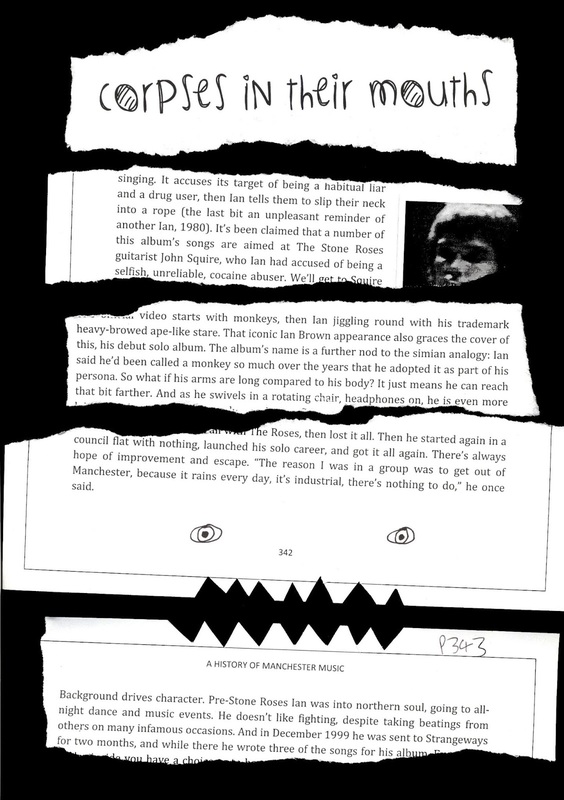 Extract from page 342 of 2000 Tunes: A History of Manchester Music by M. H. Rees; used with permission. Read the whole series (25 extracts) here; or my summary post. 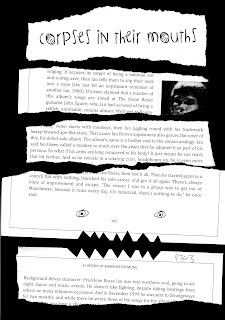 Readers might be interested in my forthcoming novel about a man obsessed with Manchester music - confusingly, it is also called 2000 Tunes!